Aluminium is most commonly found in an ore called bauxite. This ore is mined from the earth, which is then processed into aluminium oxide. Getting the aluminium oxide to its pure form – aluminium – is a very energy-intensive process, which can be harmful for the environment when carried out by plants using fossil fuels. For this reason, more and more eco-friendly aluminium processors are supplementing their energy requirements with renewable energy sources, such as hydroelectricity. The most eco-friendly way to find aluminium for drinking cans is to source it from recycled aluminium. Recycling aluminium requires only 5% of the energy required to initally extract aluminium. Recycling aluminium starts with the collection process. Aluminium can be recycled from a number of items, including but not limited to: aeroplanes, bicycle frames, cans, spacecraft, roofing panels and roller shutters. Considering the wide use of aluminium in our society, there is a lot of scope for aluminium recycling. This is why it is important to avoid throwing your cans in general waste bins where possible. In 2012, a study reported that the United States reported a recycling rate of 67% for aluminium beverage containers. Once the material has been collected, it is then sent for scrap metal processing, where it is checked and cleaned. Some recycling plants focus on recycling cans alone for repurposing, these cans undergo a four-part process of shredding, decoating and melting, until they are finally ready to be cast into aluminium. Once in this form, they are sent to a production line, where they can be transformed back into fresh cans. Making the cans is a very detailed process. First, the aluminium is rolled out into a long, thin, paper-like sheet. This sheet forms the basis of the can creation, and from this sheet, many round discs are punched. These discs are called ‘blanks’, and they will become stretched into the cans through further ‘drawing’. This happens a few times until the can is the correct width and height. The next step is to add a dome to the bottom of the can. 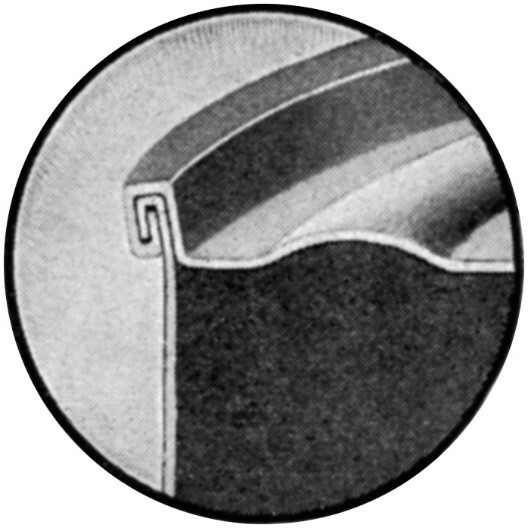 This dome helps to distribute the pressure of the contents across the base of the can, which makes the can stronger and less likely to break. All of the can production that has occurred so far is completed in approximately one-seventh of a second. On average, a total of fifteen thousand cans are produced worldwide every second, and you can understand how when the production process is so refined. The current can still has some way to go before it’s fit for the market, however, and the next step is to trim off the top of the can, which will be uneven and wavy from the drawing process. This top section is cut by around six millimetres before the can is sent for decorating. The decorating process is where cans are inked with company labels, such as Fanta or Coca-Cola, but it’s also where they are varnished, and where a protective layer is added to the inside of the can to prevent the drink from tasting like metal. Next, the neck of the can is formed. The neck is the part of the can which tapers inwards at the top. This process takes eleven steps which gradually pull the aluminium inwards. Trying to force the aluminium to take the shape of the neck in fewer steps can cause the neck to wrinkle, which is neither aesthetically pleasing nor good for the can’s resilience. After completing this step, the can may be sent to the drink company who requested it for filling and sealing. Cans used to be sealed via welding – or even soldering – but this could affect the product inside. Today, the can is sealed as soon as it is filled with a double-seam method. This bends the sides of the can around each other to create a compact solution without contaminating the product. And there you have it – the full can creation process, from start to finish. It’s probably a little more complicated than you’d first imagined, but this process has the power to save an awful lot of energy and natural resources in the long run. 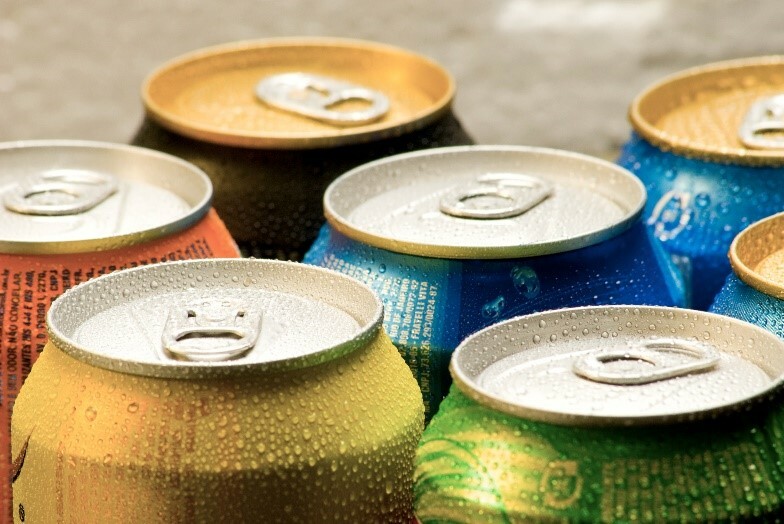 Once the end user has finally enjoyed an ice cold beverage, the hope is that the can will be recycled so that the whole process can start once again. If you have any scrap metal for recycling, here at Morecambe Metals we specialise in recycling and processing both non-ferrous and ferrous metals for domestic, trade, corporate, commercial and industrial industries. Who knows where your metal may end up!